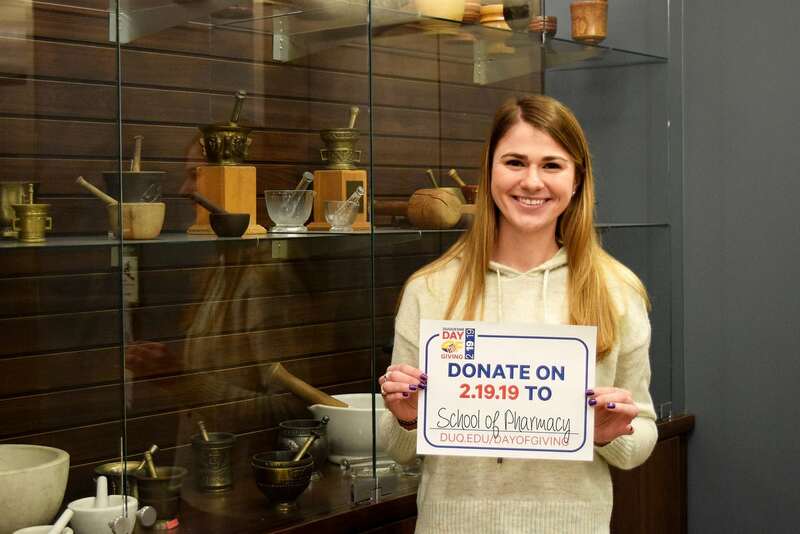 School of Pharmacy has raised $ 14,370 from 84 gifts! The School of Pharmacy educates and mentors students to advance the profession of pharmacy and pharmaceutical research to improve the health outcomes of patients and the community. 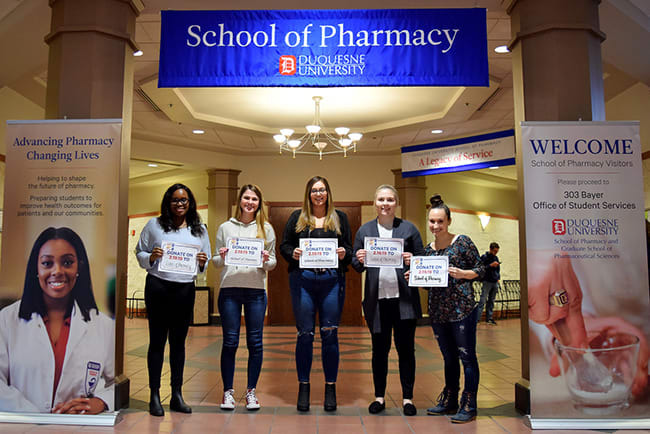 Your gifts on the Duquesne Day of Giving allow the School of Pharmacy to fulfill a commitment made to students–past, present and future–in becoming leaders in the pharmacy profession and servants to the community. Consistently recognized for community engagement and providing free or low-cost health screening and wellness programs to medically underserved populations, recent accolades achieved by students, faculty and alumni include a national ASHP-SSHP Outstanding Development Project award, PPA Pharmacist of the Year award, AACP Master Preceptor award, AACP Emerging Teaching Scholar award, APhA Immunization Champion award, and AACP New Investigator award. Your gift ensures current and future student pharmacists continue to receive a quality pharmacy education and ample opportunity to impact the Duquesne community, Pittsburgh and beyond. The School of Pharmacy truly appreciates any and all gifts. Be sure to delegate your gift for a specific purpose, a specific student organization, or the School of Pharmacy general fund.